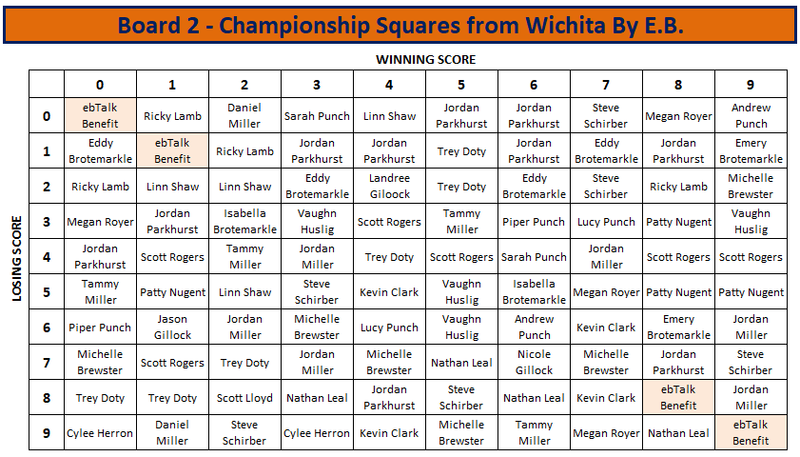 Miss out on the NCAA Squares game? 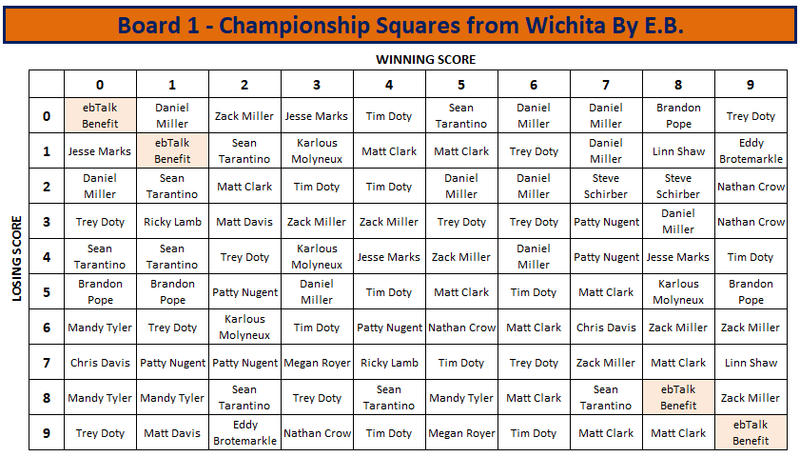 This is your last chance to get involved in squares for the National Championship Game. $2 per square with squares being sold two at a time! We will have two sets of Squares available. Each are limited to 50 entries. All squares awarded at random after all 200 are taken. - The Squares are only for the NCAA National Championship Game on April 2nd.